Victoria College conducted accelerated training for 17 workers from Dow’s UCC Seadrift Operations site who are seeking to become process technicians. The new 13-week program builds on the participants’ previous education and work experience. When the training ended in late April, students were awarded a Customized Process Technology Certificate. Demand for skilled workers in the petrochemical industry is high, and the program was developed through collaboration between VC and Dow to help meet Dow’s workforce needs. 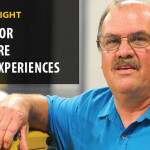 Unlike the Associate of Applied Science degree in Process Technology, which takes two years to complete, these employees earned the Customized Process Technology Certificate in 13 weeks. 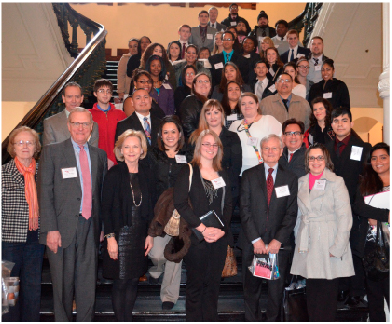 Thirty-seven Victoria College students, accompanied by VC administrators, faculty, staff, and three VC Board of Trustees members, attended Community College Day Feb. 3 at the Texas State Capitol in Austin. They visited with state Rep. Geanie Morrison, front row, third from left, and state Sen. Lois Kolkhorst. 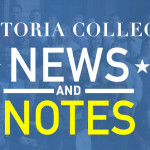 VC students were encouraged to share their stories and concerns with state lawmakers. The group also joined other Texas community college students at a morning rally on the Capitol steps and viewed the Texas House and Senate chambers during an afternoon guided tour. The website’s “Find Your Future” career assessment takes less than ten minutes to complete. Based on the responses, students can have their top three Career Clusters® of interest emailed to them. 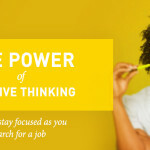 Students can then use the website to explore potential careers that fall within each of those categories, along with salary information – an important factor to consider when planning for the future. While Texas leads the nation in the creation of good jobs, many of the state’s employers say they cannot find workers with the skills they need. This skills gap points to the need for Texas to expand and diversify its educational and training pathways, according to a report released in July by former Texas Comptroller Susan Combs. 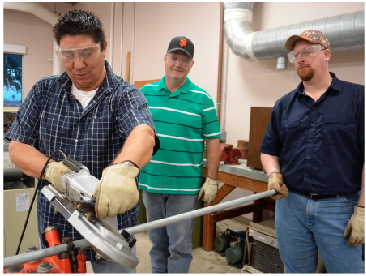 Pipe-cutting was among the core curriculum lessons learned by military veterans, from left, Raul Yanez, Todd Brown, and Douglas McCarty. The three are participating in Victoria College’s Veteran and Industry Partnership, through the Texas Workforce Commission. Some military veterans are going back to school, thanks to an initiative available at Victoria College. 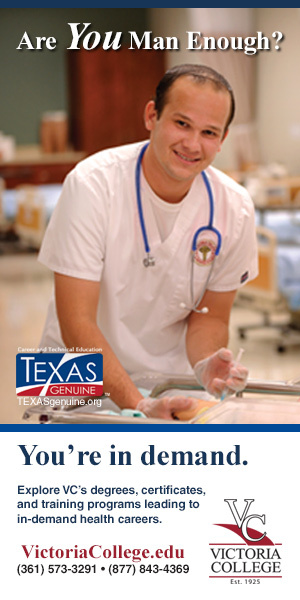 The Veteran and Industry Partnership (VIP), offered at VC through the Texas Workforce Commission (TWC), was initiated to update job skills for veterans and supply a skilled and ready workforce for some of the state’s most high-demand industries. 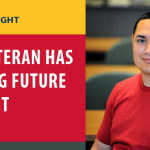 Area military veterans entering the VIP initiative can receive training as an electrician, millwright, welder, or pipefitter to enable them to work in the petrochemical, advanced manufacturing, and information technology industries. The training began in January, but veterans can still apply for upcoming courses offered in the summer. Seven veterans have completed the Core Curriculum-Introductory Craft Skills and a total of 11 students are enrolled in advanced training. Training concludes in May for Electrical I and Millwright I, and in June for Electrical II and Welding I.
TWC has designated $4.3 million from the state’s Skills Development Fund to establish the initiative, which brings together industry associations, local Workforce Solutions partners, and community colleges to offer training in key industry occupations for veterans. 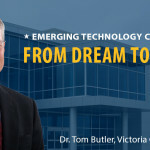 An average Victoria College associate degree graduate will see an increase in earnings of $9,700 each year compared to someone with a high school diploma or equivalent. Over a working lifetime, this increase in earnings amounts to an undiscounted value of approximately $375,972 in higher income. 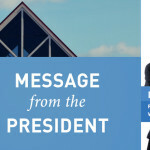 That’s according to a recent study conducted by Economic Modeling Specialists International (EMSI) showing the economic impact Victoria College has in the region. 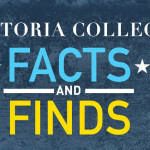 The study examined the 2012-13 fiscal year and reported the benefits gained by students, businesses, and community members as a result of Victoria College’s work. In addition to the higher income enjoyed by VC graduates, the study also factored in the indirect benefits of education. These include avoiding medical costs and lost productivity associated with poor health habits, justice system costs, and a savings in welfare and unemployment benefits. Taxpayers, $4.90 is gained in added taxes and public sector savings due to a reduced demand for government-funded social services in Texas.